This is a project I just finished with and this is so easy... anyone could do it. Seriously.. ANYONE!! You are going to be using mod podge with blocks to create different words for decorating. Let me tell you, once you get this down the possibilities are endless for the things you could say with these blocks. First things first... What will you need? You should start with white paint and paint a coat all over all of your blocks. 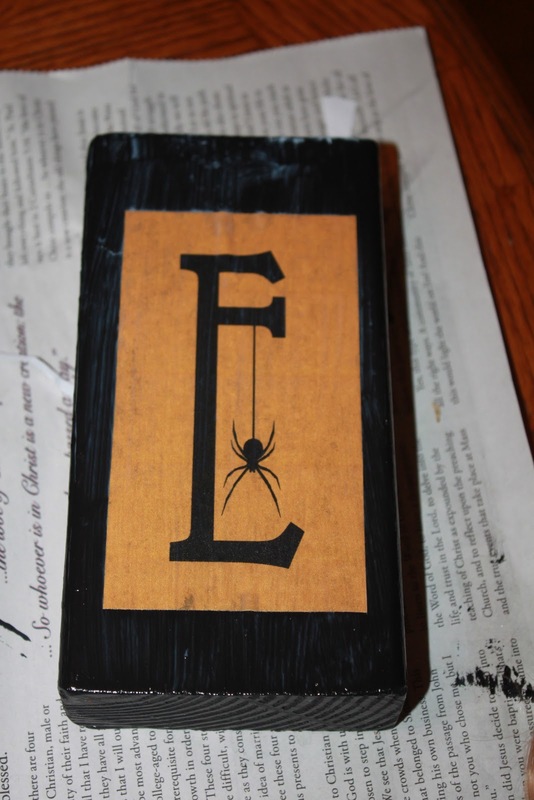 Take your black paint and paint over the white painted blocks like so. 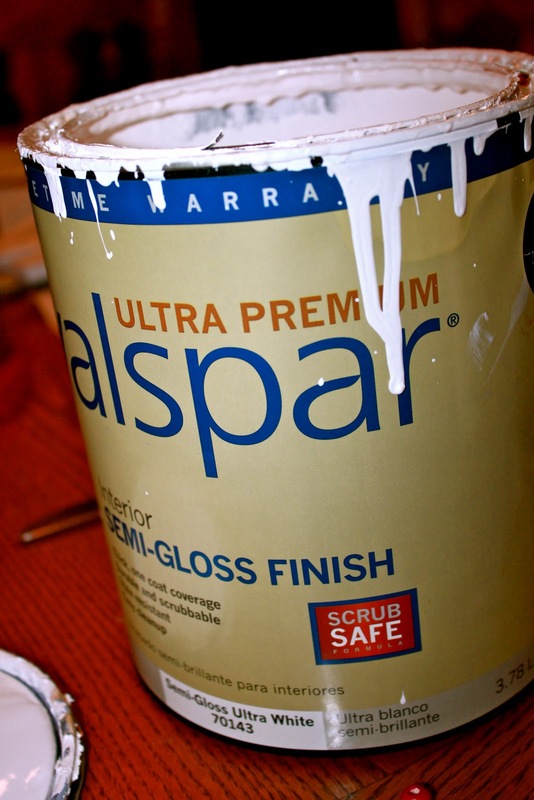 This is the paint I used below. The white paint is what I had in the garage. The black paint is something I found at Lowes. They have all sorts of colors in these little cans like this and they are fairly cheap. Okay once all of your blocks are painted and they have all dried then it is time to start mod podging your letters onto the blocks. So you need some letters. I found these on the internet and they just printed off really easy. But you could use sticker letters that are really big too and this would save money on using all of your ink from your printer. 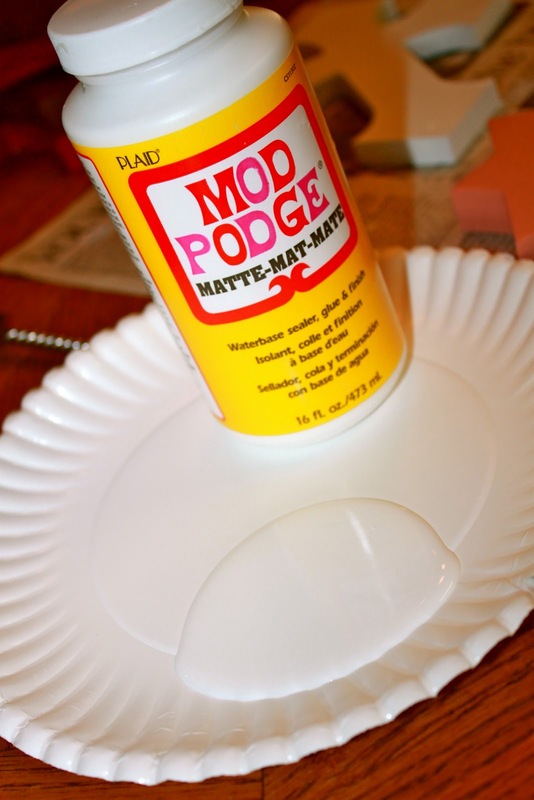 Get your mod podge and put a little of it on a paper plate so you can dip your paint brush in it. 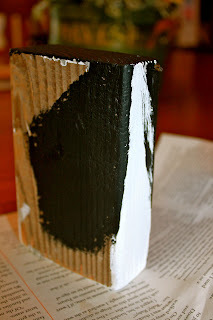 Then put a layer of mod podge over the block on all sides of the block. You will need to let one side dry and then put mod podge on the other side. 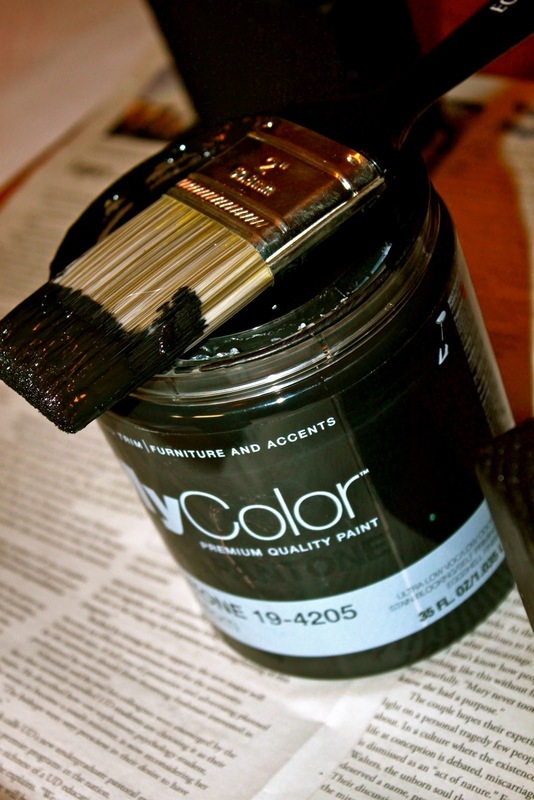 It will look like this below when you are painting the mod podge on there. It will dry clear and smooth. Once all of your letters had dried onto the blocks then you are done. Pretty easy huh? Now you can stick these anywhere and use them for decoration. I LOVE my blocks and I will be making some more very soon. Check back to see what those look like. Lynn, those turned out really great! You could make them for any occasion! 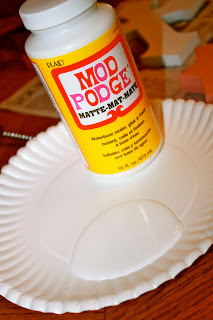 I have never tried mod podge, can I get it from Michaels? Your project turned out so great! Thank you for sharing! Im feeling inspired...maybe some christmas themed blocks are in my future! These are darling. I love that you didn't use the same size block for all the letters. :) Found you on COM's link party! Yes you can get mod podge at Michaels or Hobby Lobby.. And you can use it on so any things. Check it out. Thanks for stopping by Jenna, Sarah and Bama Girl. Take a look around and let me know what you think. Thanks for joining my blog! I LOVE modge podge. Your Halloween blocks turned out great! I'm your newest follower! I am a big fan of Mod Podge and I love this project! I can't wait to make some myself. These are so cute! What a great idea to add the letters that way! So many possibilities! These are so cute and easy to do. Love them. Found you on Tip Junkie. They look awesome! I love Mod Podge! Love the font! Very cute. I saw you on the Frugal Girls link party. These turned out so cute! Thanks for so much for sharing at Taking A Timeout Thursday! So cute! Thanks for linking up! I am going to show these off on my blog on Saturday evening! I love these! Hope it's ok that I shared your idea on my little blog. I really enjoy reading your blog! You do a great job! Awesome blocks! I found you through Joyful Stamper! great way to meet and follow other great bloggers. Thanks for linking up at my Follow me Friday's! This project is super cute! Those are really cute. I would love to see the link to the letters that you used. Thanks for sharing at Mom's Library!